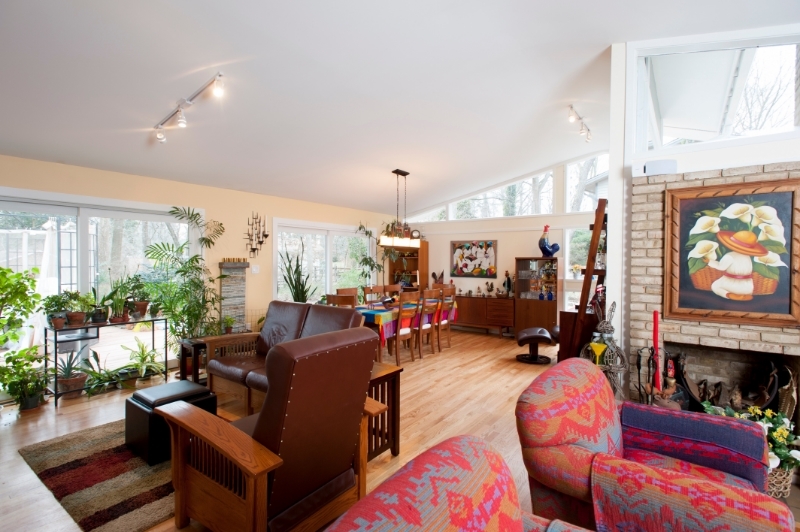 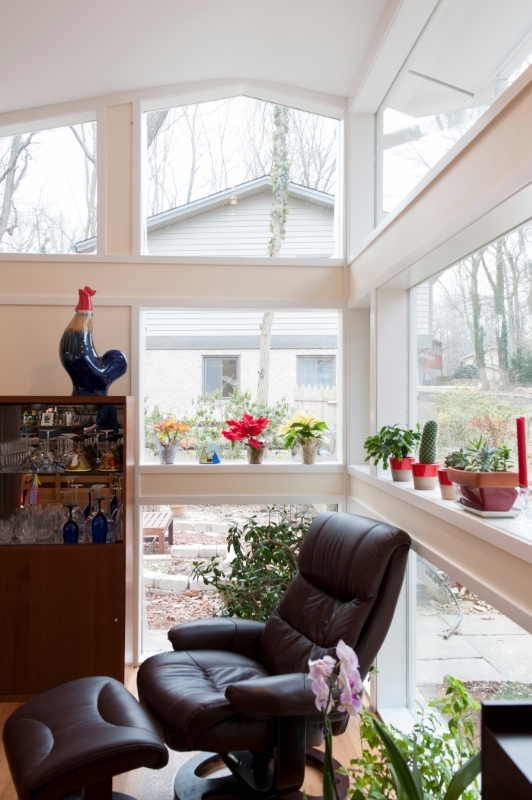 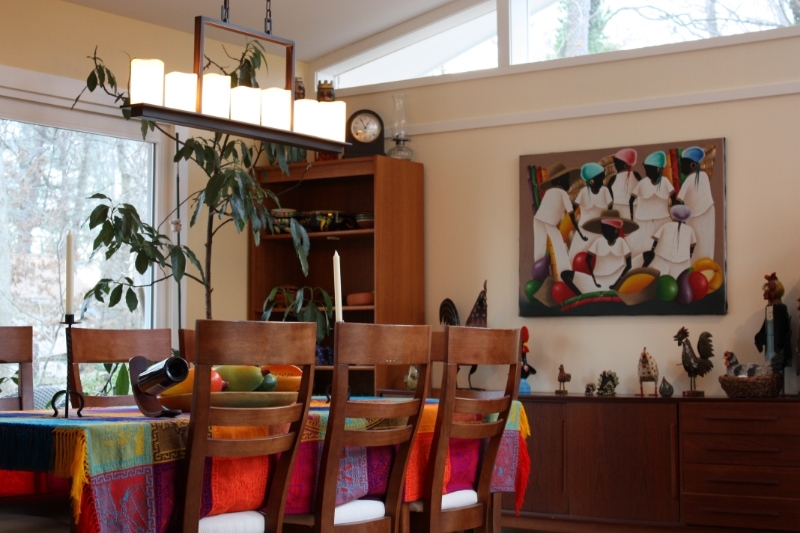 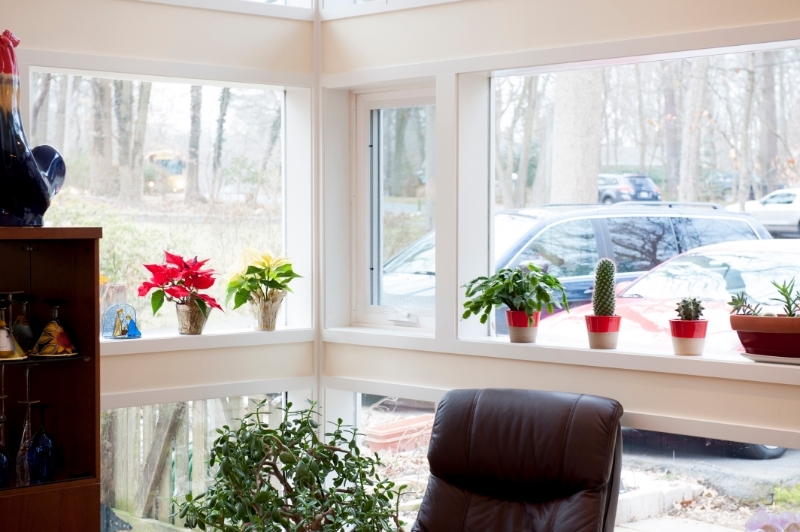 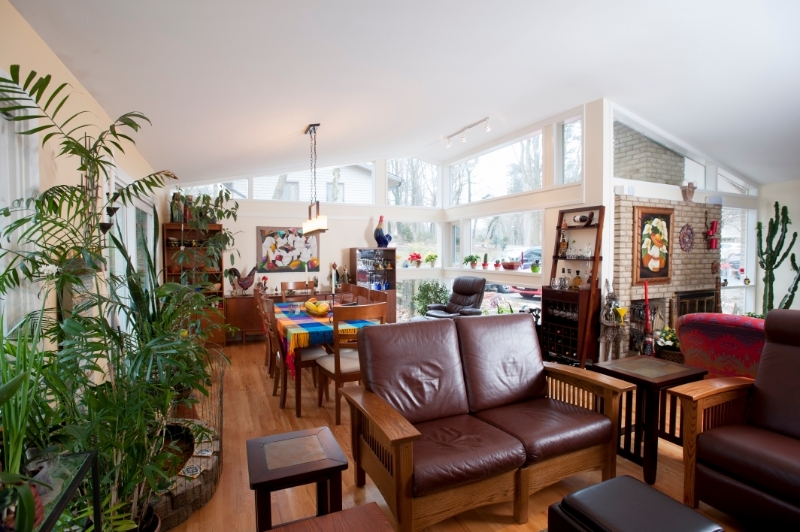 This sun room was erected in the culturally significant Carderock Springs neighborhood of Bethesda, Maryland. 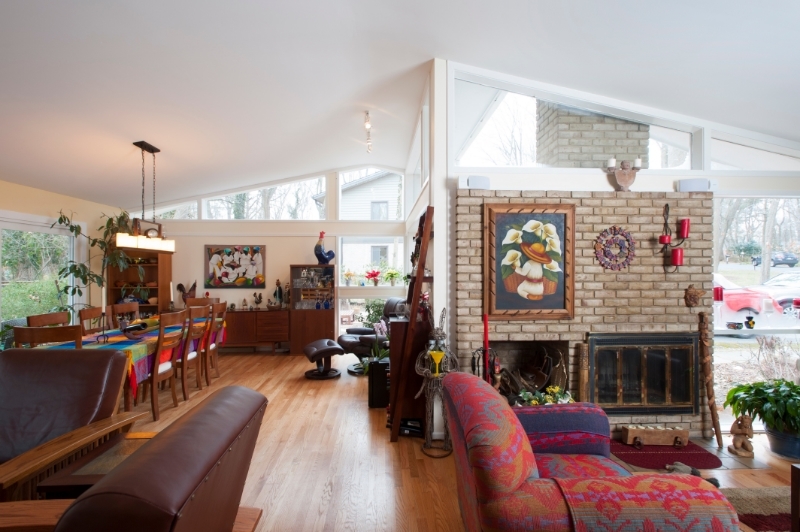 It was designed according to extremely strict community regulations stemming from the area's placement on the National Park Service's National Register of Historic Places. 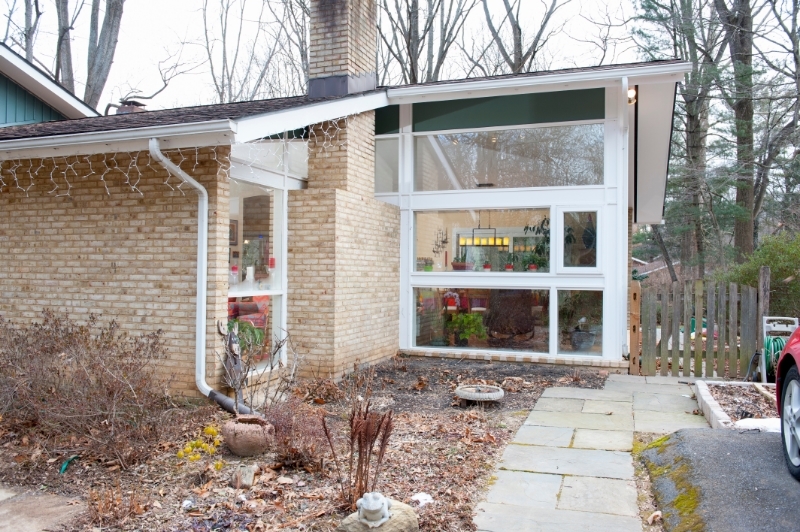 To maintain the appeal of the nature-oriented and glass-heavy architecture of Carderock, the original side profile of the house was largely unmodified, meaning its original features were simply extended into the side yard. 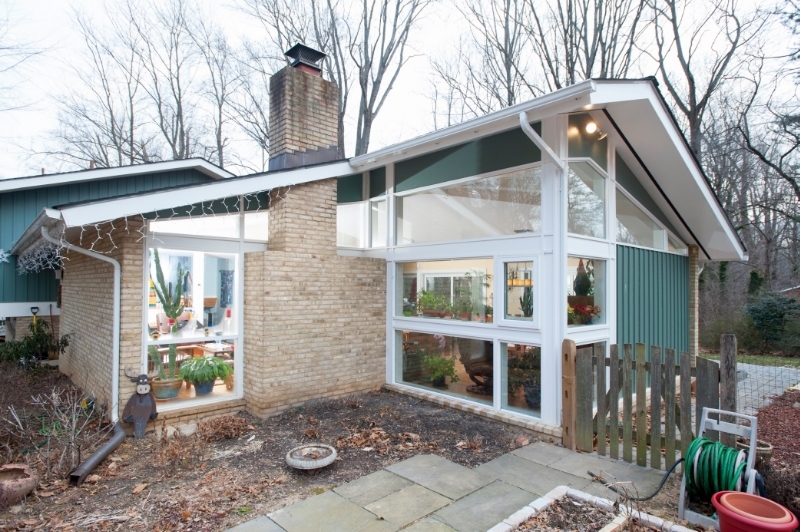 The result is the modern wedge-shaped sun room with 11 new windows, nine of which were custom fabrications, that let in enough sunlight to keep the room, kitchen, and family room lit during day hours. 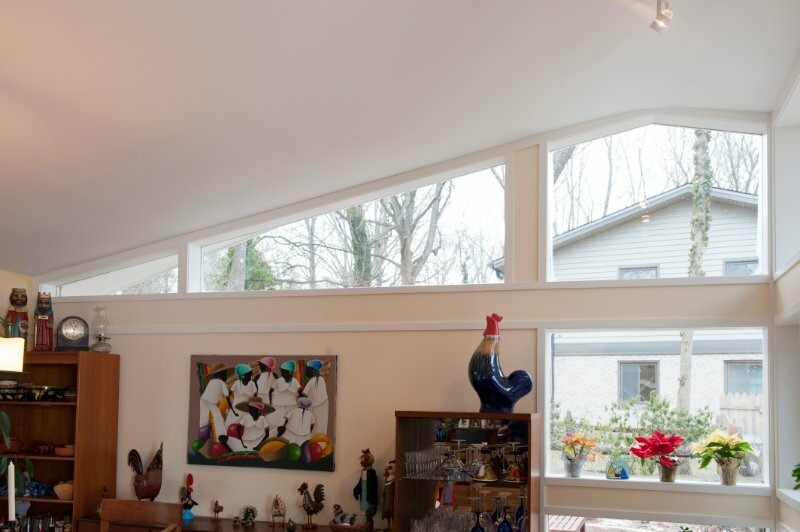 The materials used on the exterior are identical to those on the rest of the house to make it look completely original. 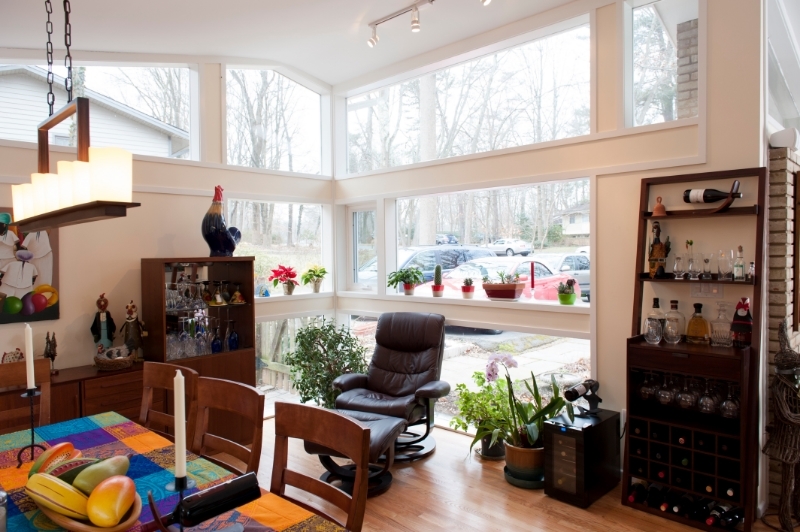 You can read more about this addition in our featured blog post.